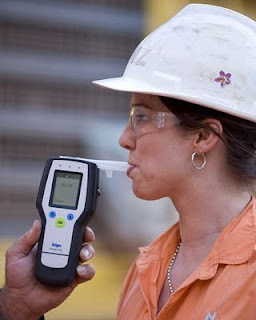 On March 11, 2010, the National Highway Traffic Safety Administration (NHTSA) published a notice in the Federal Register that updates the Conforming Products List (CPL) of instruments that conform to the model specifications for Evidential Breath Testing Devices. The major changes to the udpated Conforming Products List include four new instruments and an update to the mobility status of one existing instrument. Common Sense Counsel: Only those instruments listed on the Conforming Products List without an asterisk (*) are authorized for use in confirmation testing in the DOT alcohol testing program pursuant to 49 CFR Part 40.231. Use of any other testing device for DOT mandated testing would be a DOT violation and subject an employer to fines of up to $10,000. It is wise to also use this list for non-DOT testing as well since in Alabama UC & WC disqualifications are tied to DOT testing standards. An updated DOT and non-DOT Drug Free Workplace policy is also critical in light and recent changes. Also, keep in mind that non-DOT Alcohol Workplace testing is classified as a medical test under the ADA and should only be conducted based upon reasonable suspicion, or only after have the issue thoroughly researched by an attorney experienced in this field of law.